Latest Update: NDA Application Deadline has been extended for 2 weeks. The application will now close on Thursday, 28 March 2019. 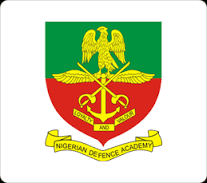 The Nigerian Defence Academy, NDA has commenced the sales of admission forms into the 71st Regular Course Programmes for the 2018/2019 academic session. Online application/registration begins from Monday 22nd October 2018 - Thursday 28th March 2019. Interested and qualified candidates are expected to purchase Access code to start registration. The Nigerian Defence Academy, NDA will await JAMB 2019 examination results before shortlisting candidates for the 71st RC Armed Forces Selection Board (AFSB) interview. Only 2019 Registration Number and subsequent JAMB results will be considered in the NDA admission process for 2019. Be at least 17 years old and not more than 21 years old as at the month of August in the year of entry into the Academy (2019). Note that candidates who desire to join the Nigerian Air Force must be between 17 and 18 years old at entry, and also the Nigerian Army has suspended the enlistment of female candidates in her Regular Combatant programme in NDA. Currently, admission into the Academy is for both male and female Nigerians only, and is limited to Navy and Army in the case of female candidates. Candidates admitted into NDA for Regular Course wilt , undergo military and academic training as Officer Cadets for a duration of 5 years for Nigerian Army cadets 4 years for Nigerian Navy and Nigerian Air force cadets. On successful completion of training, graduands will earn a honours degree in a core discipline (B.Sc, BEng, BA). They will equally earn a Presidential Commission into the Armed Forces of Nigeria. Be Advised, Do not make any payment except with your RRR code generated from www.nda.edu.ng or rcapplications.nda.edu.ng . NO FORMS ON SALE ! NOTE : ONLY JAMB 2019 is allowed for the application. Be at least 17 years old and not more than 21 years old as at the month of August in the year of entry into the Academy (2019). NOTE: Do NOT submit your application, save all progress for now until you update your Jamb reg number, you can then submit finally ! Please how do I get my mail across to the NDA 71st Regular course admission office directly on the mistake they made in my date of birth in my submission acknowledgement form. I filled in my date of birth which is 4th May, 2000, only for me to see in my acknowledgement form 4th May , 2003. I have tried to sent a mail to their email but was told that the email address on their inquiries was not found.